[vc_row css_animation=”” row_type=”row” use_row_as_full_screen_section=”no” type=”full_width” angled_section=”no” text_align=”left” background_image_as_pattern=”without_pattern”][vc_column][vc_column_text]We are so excited to announce the first ever Claiborne Farm Runhappy 5K! 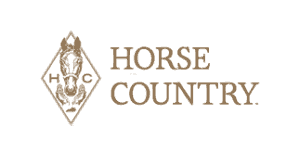 Come enjoy the rolling hills of the Bluegrass at one of the most iconic and storied Thoroughbred farms. Claiborne Farm in Paris, Kentucky has been a historic Thoroughbred operation for over 100 years. Founded in 1910, the farm has been owned and operated by the Hancock family and is the birthplace of more than 80 Champion racehorses and is the final resting place for the legendary Triple Crown winner, Secretariat. This is a rare opportunity to run or walk through the broodmare and foaling division of Claiborne Farm! 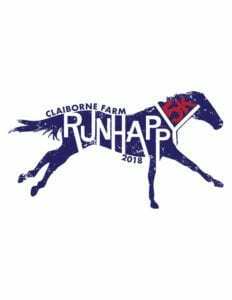 This inaugural race celebrates the racing career of Claiborne Farm stallion and Champion Sprinter, Runhappy, who retired to stud in 2017. Runhappy received the accolades of Eclipse Champion Sprinter and Eclipse Champion 3-year-old in 2015. He is a three-time Grade 1 winning millionaire who was undefeated 7 for 7 in sprinting competition including the Grade 1 Breeders’ Cup Sprint and the Grade 1 King’s Bishop. You can register for this special 5K (or the 1 mile fun walk/run!) at the official race site here – but we encourage you do it soon…there are only a limited number of spots available!